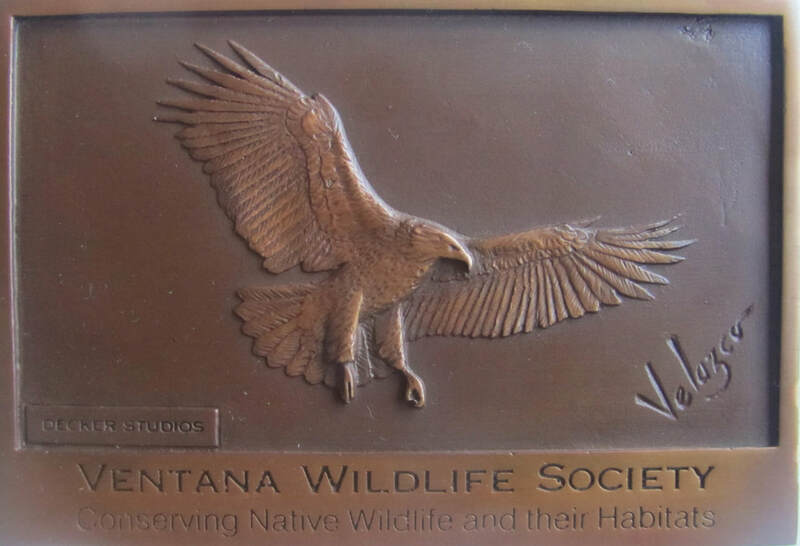 Thank you for considering a gift to Ventana Wildlife Society! 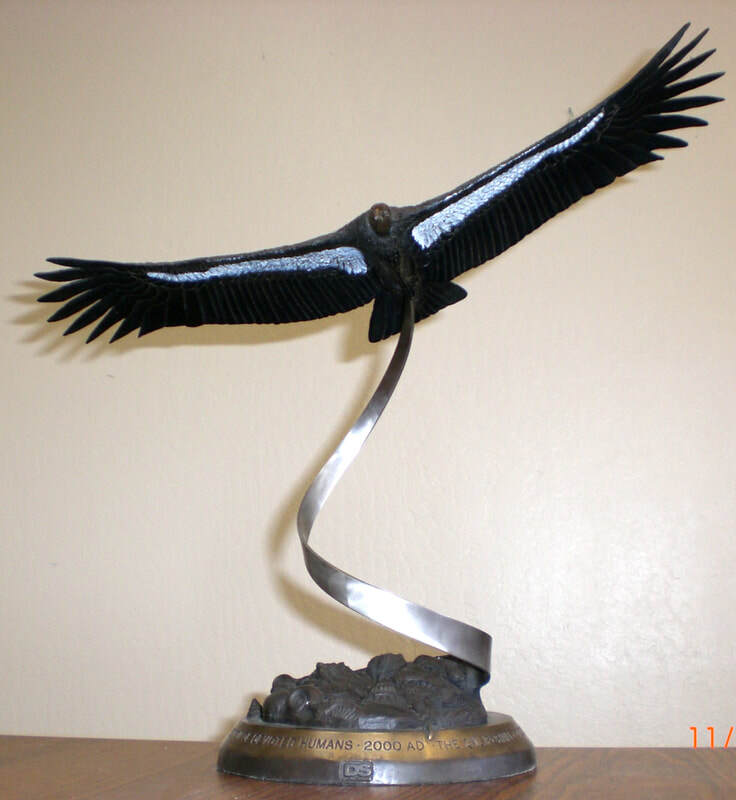 Your support sustains our California Condor recovery and youth education programs. 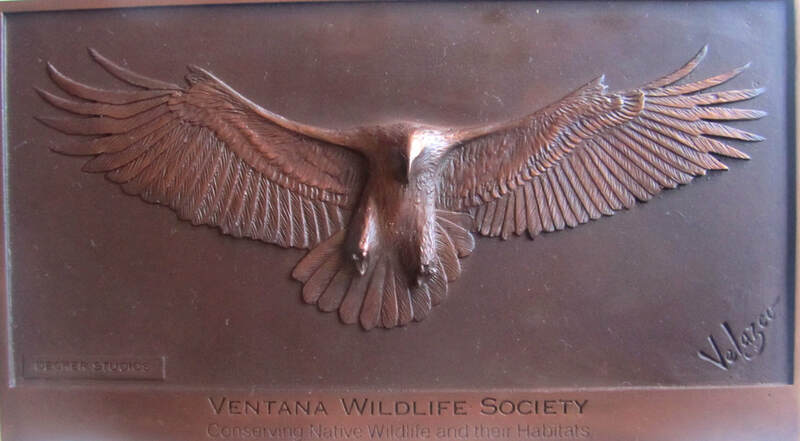 By joining Ventana Wildlife Society, you not only gain the satisfaction of saving condors, you are helping inspire over 1,000 local youth annually with unforgettable experiences in nature. In this way, your gift is supporting conservation today, while spreading hope for the conservation efforts of future generations. In addition to receiving invitations to members only events, you also receive a subscription to The Full Crop, the VWS eNewsletter. We typically send two or three emails per month to keep donors informed of progress and events and occasionally we'll ask for help! You can unsubscribe at any time. All donations are tax deductible, tax ID 94-2795935. 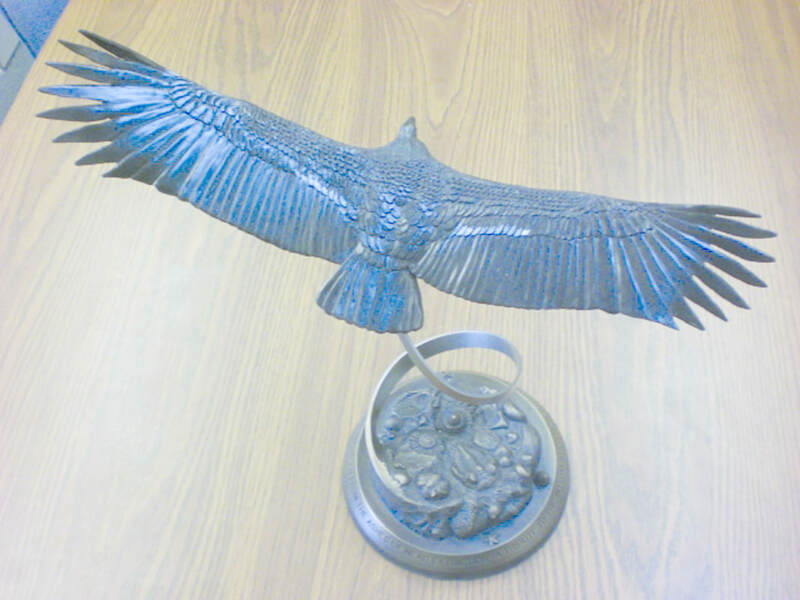 We also offer an exquisite wildlife bronze art gift at certain giving levels. 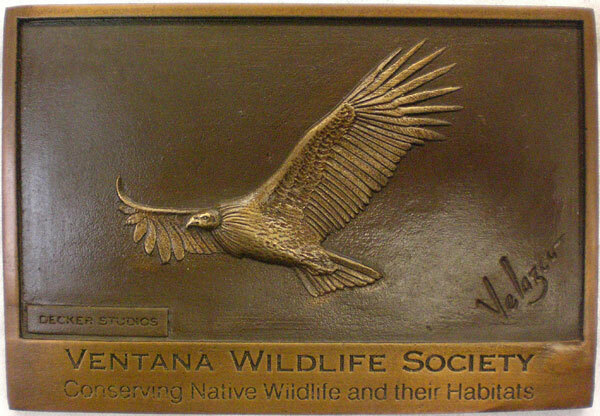 To receive a bronze, please choose one of the following options below. 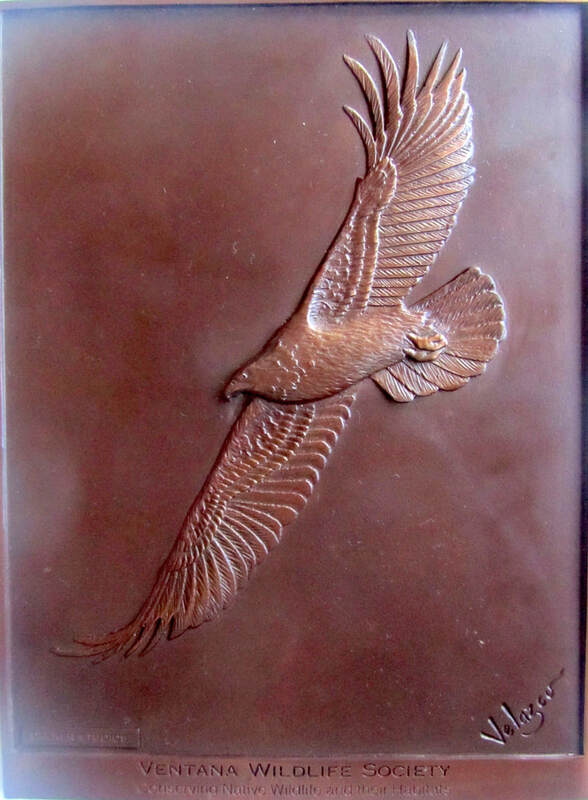 To make a gift without receiving bronze art, use one of the options above. 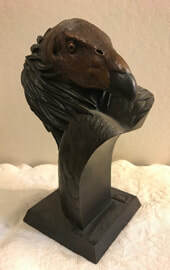 4 5/8" x 8 5/16"
7 5/16" x 9 7/8"
​A native of southern California, Ramon Velazco is frequently commissioned to sculpt for the entertainment industry, as well as private individuals and public organizations; however, his personal interest lies with California non-profit organization Ventana Wildlife Society. 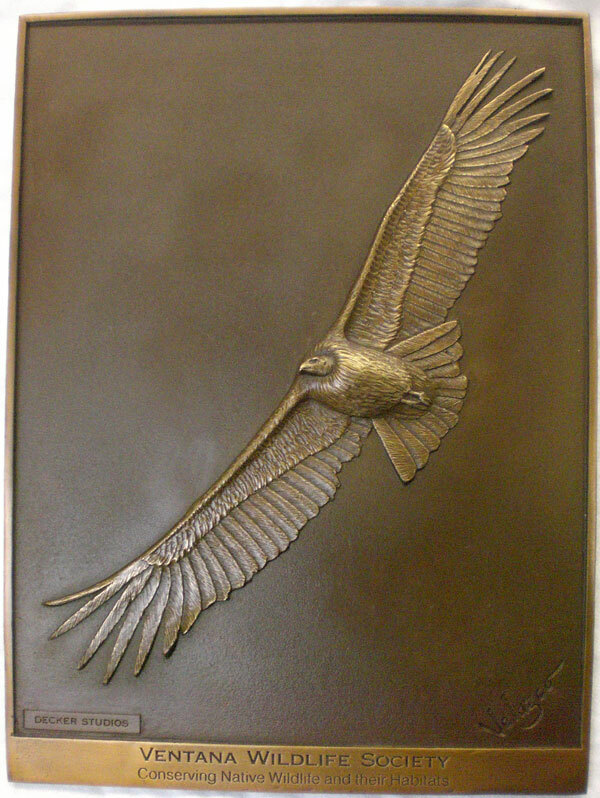 In 2003, he collaborated with Decker Studios to create a full-size replica of an adult male California condor in full flight. 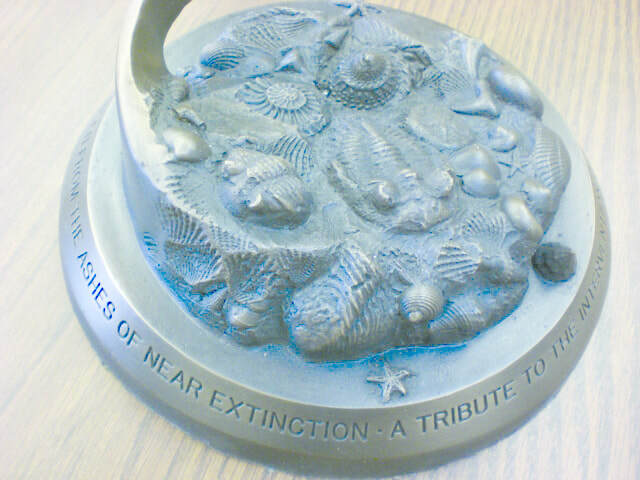 The sculpture was part of an exhibition at the Pacific Grove Museum of Natural History and is now on permanent display. 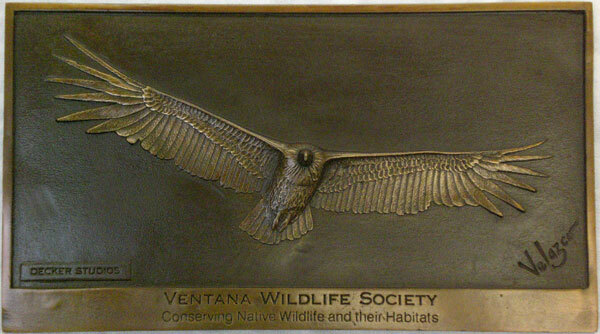 With this plaque, Velazco has combined both his artistic talents and concern for the environment and its wildlife.